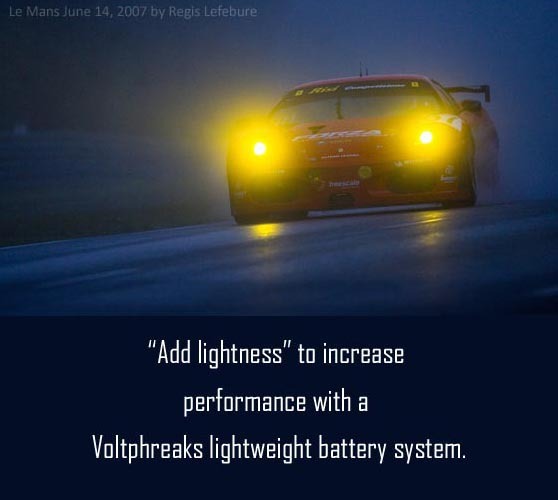 Lightweight 12V and 16V lithium battery systems for professional racing teams, drag cars, and high performance cars. Replace your heavy lead-acid with a lightweight lithium starter battery! Designed and built in the USA. More powerful VPH16-900 16 volt drag racing battery, special introductory pricing. New lightweight M6 female to SAE top post terminal adapters. Only 16 grams per set!